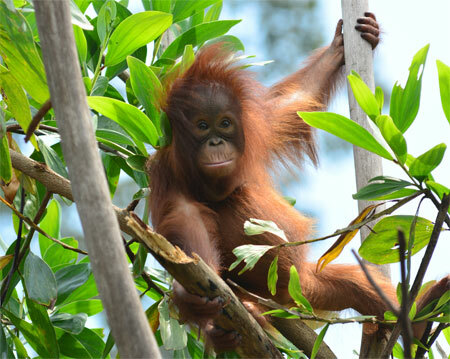 HELP US to PROTECT this forest reserve and provide a future for orangutans, forests and people. You can help to protect this globally important forest ecosystem. A regular gift provides invaluable support to our crucial ongoing work in the Lamandau Wildlife Reserve. Integral to this are our skilled staff, reliable equipment, and sound infrastructure. The Orangutan Foundation’s 60 Indonesian staff work on the frontline of conservation. They guard and patrol the forests and rivers. They rescue and monitor the orangutans. They replant and nurture tree saplings to enhance this incredible habitat. They gain trust and support from local communities. Without our staff the forests and the wildlife will disappear.